Whether you are a first-time home buyer or seasoned investor, obtaining a sustainable home loan can be a challenge. With so many elements affecting the suitability of home loan products, it can be tiring and stressful finding the right one. To help make the process easier, many Australians enlist the help of a specialist mortgage broker. 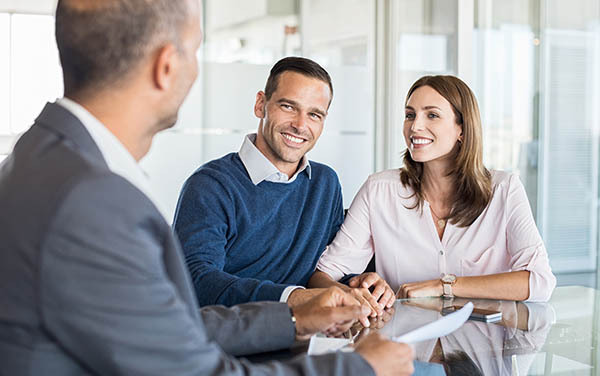 A mortgage broker connects borrowers with appropriate loan products, taking the guesswork out of finding a quality financial solution. And what’s more, the service is free of charge. In this article, we’ll share our top picks for mortgage brokers in Griffith and surrounds. Ready? Let’s get started. What Makes a Reliable Mortgage Broker? Here are a few crucial traits we think all of the greatest mortgage brokers in Griffith share. Remember, if you have any others to add, let us know in the comments section below. Honesty. The best mortgage brokers in Griffith are trustworthy, transparent, and upfront. Their honesty ensures you are approved for a fantastic loan as fast as possible. Committed. Mortgage brokers should have one priority: you. They should never put the lender’s interests before yours. That way, you can rest easy knowing you are being led toward financial success. A great range of lenders and products. Access to a great variety of lenders and products is an absolute must so keep a keen eye out for this trait. Knowledge and expertise. The best mortgage brokers take their years of experience and expertise and share it with you. Their guidance is informed and their advice is reliable and useful. Want to engage with a lender that you can rely on? Bendigo Bank is an excellent choice. Their home loan specialists have shared their top-quality financial services and advice to valued clients for more than a century. Now, more than 1.5 million Australians choose Bendigo Bank as their preferred financial provider. Their team of mortgage and home loan advisors are committed to supporting and guiding you as you set off on your property ownership journey. With Bendigo Bank, securing a home loan couldn’t be easier. The qualified and experienced staff at Clarity Home Loans are more than happy to help you as you kick-start the process of purchasing a property. Providing the top standard of customer service, the team at Clarity have a wealth of knowledge that you can use to work your way toward financial freedom. Discover a suitable home loan solution as soon as possible with the reliable team of mortgage brokers at Clarity. The team at MIA Financial Services are award-winning home loan specialists. With fully accredited relationships with many of the small and major financial institutions, banks, and building societies, you’re sure to discover a product to meet your needs. The team at My Lending Specialist understand that making a big purchase can be a scary experience. That’s why they offer expertise and market knowledge so you end up making the right decision for you and your family. Thanks to our commenters who have provided insightful feedback, if you believe we have got it wrong, please let us know. Are you looking to purchase a property in Griffith? Are you working with a mortgage broker? Share your experience in the comments area below.